It’s hard when you play in two of the toughest leagues out there, but the Northeast Philadelphia boys basketball teams that compete in the Public and Catholic leagues do pretty well for themselves. Last year, the king of the Northeast was Abraham Lincoln High School. The Railsplitters played in the final game of the season in the state when they lost to Roman Catholic in the PIAA 6A championship game. And while they were clearly the top team in the area, they weren’t the only one to make noise. Frankford also enjoyed a strong season, but its campaign was set off track by Lincoln in the 6A Public League finals. Washington and Fels also performed well and hope for more this year, while Northeast and Franklin Towne Charter hope to build off last year’s improvements. 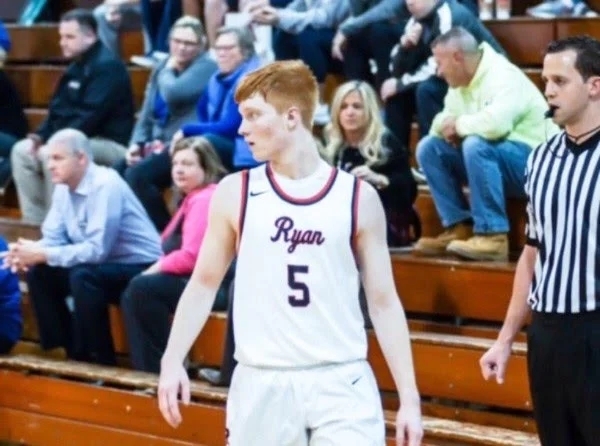 In the Catholic League, both Ryan and Judge had disappointing seasons, but both believe they have enough talent and grit to have a much better season this year. Here is a look at the local teams. The Raiders finished 6-7 in the competitive Catholic League last year. That’s not a bad record considering the competition, but they are looking for more. And with the players returning to the mix, they should be able to do that. Colin Reed returns at shooting guard after putting up big numbers as a junior. He’ll work in the backcourt with Jaquill Stone, along with Gediminas “G” Mokseckas. Providing depth will be Jerry Weiss, Dom Vazquez and Mekhi Lang. The front court will include Amin Bryant, who started two years ago in Ryan’s run to the final four of the state tournament, along with Aaron Lemon-Warren and Taleeq Robbins. Also providing minutes underneath will be center Christian Isopi. Last year wasn’t a down one, but it certainly wasn’t the type of year the Raiders enjoyed the previous two seasons when they made it to the Palestra. This year, that’s once again the goal. “Our team has had a great summer and fall together,” Ryan coach Joe Zeglinski said. “They were able to build a togetherness and feel for each on the court that will hopefully help our team win a lot of games. Our key players complement each other very well. The Crusaders had a disappointing season last year, failing to qualify for the playoffs, but it would be tough to call it a down year. Judge took Neumann-Goretti to overtime, and was competitive in just about every outing. The record wasn’t great, but the play wasn’t bad. This year, the Crusaders hope they can win those close ones and get back in the postseason. Leading the way will be senior swingman Shane Dooley, who is coming off a fantastic football season. He returns to the starting lineup with point guard Alphonso Chie, who handled the job last year as well. Jack Boyce will see time at center, along with sophomore Rymir Shaw, while Nick Minich, Nahseer Johnson, Justin Blythe, Aidan Dooley and Tyler Townsend wll contribute at guard. While inexperienced, the Crusaders have a lot of talent and coach Sean Tait is excited about the year. “I’m happy so far, but you have to see them play in the Catholic League before you know how things are going to be,” Tait said. “I’m not sure how good we will be, but we have talent and they’re showing that every day in the gym. There was a time when the Railsplitters weren’t a basketball powerhouse. But they’re getting there. A year after winning a game in the state tournament, Lincoln went on to reach the finals of the state championship before falling to Roman Catholic at Hershey. It was revenge for the Cahillites because Lincoln bested them in the city championship. Lincoln also picked up a Public League 6 A championship. This year, the Railsplitters should once again be among the tops in the Public League and if things go well, they could compete in the loaded 6A division in states. Emeuel Charleston returns at guard. He’ll work with fellow guards Travis Coleman, Shaquil Bender and Tealang Lloyd. Another returning player is Seem Luckey, who performed very well in the state tournament. The forward will team with Patrick Obogo and Shmir Williamson in the frontcourt, with Oluwadar Iidowu seeing time at center. It will be tough to replicate a 25-win season that Lincoln did a season ago, but under coach Al Brown, the Railsplitters will play defense and push the ball. He hopes the effort, along with a lot of depth, will mean another long run. The Pioneers enjoyed a strong season and had a great showing in the postseason, advancing to the Public League 6A championship game before falling to Lincoln. They then put a scare into St. Joe’s Prep in the District 12 third-place game before coming up short. This year, things will look different at Frankford but coach Jamie Ross is confident it will be just as successful. Jayquan Williams returns at guard, where he’ll work with Jeremiah Filburn and Seydou Ndiaye, who will also play forward. The other forwards will be Izayiah Adams and Jiair Ballard-West. The talent and leadership is there for Frankford to once again make some noise in the Public League. The Warriors were young last year, and that led to just four victories. The good news is there are key players back in the mix, and they’ll look to lead Franklin Towne to a better campaign. The front court will be led by juniors Nick Castle and Edgar Valentine. And the guards will be senior Lorenzo Rivera and sophomore Sergio Santiago, who saw key minutes last year as a freshman. The Warriors play in a winnable division, and coach Nick Ruggieri hopes their intensity can lead them to success. 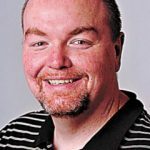 “The Warriors are planning to be aggressive with an emphasis on defense this year,” Ruggieri said. “We are a long team that will stretch the bench to stay aggressive and focused. An 8-15 campaign a season ago wasn’t great, but the Eagles did manage to advance to the Class 6A Public League semifinals before giving Frankford a run for its money. Washington had talent, but this year, the Eagles might be even better. Leading the way will be captains Levon Brown, a forward, and Nyreese Moore, a guard. Forward Christian Brown also returns as a starter. The guards will include Anas Abdeljaber, Michael Butler, Ahmad Hearne and Kyier Smith, and underneath will be Tyree Sheard, George Lewis and Quameer Knight, who all are coming out for the team after starring on the football field during the fall. The Eagles might not have a superstar, but they have a good group of players who can lead the team to good times. “We will run 10 to 12 guys out there every game,” said coach Jeremy Beatrice. “We lost two top-level scorers to graduation, but we should be a more cohesive team. A 5-13 season last year wasn’t what the Vikings were hoping for, but they did hang tough against better competition. Northeast coach Steve Novsel loaded up with a tough preseason that didn’t result in a lot of wins, but it did mean improvement. He also has talent to work with this year. The backcourt will feature David King, Kyle Hines, Juleton Jean-Louis, Ryan Wilcox and Amir Shields. And seeing time at forward will be Franklin Olivares and Martin Marku. Novsel is hoping for an improved showing and possibly a run in the playoffs. “I’m really happy about the fight and the drive to work together to get better,” Novsel said. “I think we’ve been playing together, and everyone has a great attitude, it’s been really positive. The Panthers enjoyed a solid campaign last year, but came up short in their first playoff game. But after graduation, Fels lost most of its team and this year coach Mark Heimerdinger is helping a novice group of talented players learn to play high school basketball. His leaders include guards Tylay Gaddy and Oliver Beauveil as well as Sadiq McKie and Edwin Guzman. The forwards will be Shelbi Booth, Isaac Ceaser and Mike Quinn, and providing toughness at center is Duane Watkins. Heimerdinger likes what he has, but wishes he had more time to work with his team.